My husband Richard and I joined Village West Yacht Club in 2010. We were sponsored by Herman Meyer (PC 2003) and Susan Meyer. In fall of 2015, Mike Krutsinger (PC 2016) asked Richard and I to run for positions on his slate in 2016. That year, I was elected as Fleet Captain and Richard was elected Port Captain. The club enjoyed cruising to a number of destinations in 2016 including Discovery Bay, participation in Opening Day on the Delta, Stockton Yacht Club, Fourth of July at Mandeville and Ephemerisle. Growing up on the lakes in Michigan, one of my first loves has always been boating. My family owned many boats over the years and some of my fondest family memories to this day have been spent on the water. I was very fortunate to have supportive parents that enabled me to learn about operating boats at a very early age! Today, my passion for boating continues and you can often find me at the helm of our 43 foot Carver, “Martini Shot”. I also continue to serve the boating community as an instructor for Partner in Command courses offered by the San Joaquin Delta Power Squadron. •	Initiated negotiations with the owners of Village West Marina and made progress toward a letter of intent to enable the club to benefit from financial support for building renovations and to continue operating in it’s current location. It’s an honor to have the support of the past commodores of Village West Yacht Club and to be accepted as a member of the International Order of the Blue Gavel. I wish Village West Yacht Club well and sincerely thank all that assisted me and the board of 2017 in the Club’s success. I moved to Stockton, from Fresno, in 1996 and was absolutely thrilled with the Delta. We had some great times on the Delta from that time forward. I joined Village West Yacht Club in 2006 and began volunteering in the Galley. It has been a wonderful experience. I have met some of the most interesting and wonderful people from all over the Delta and Bay area. Our first really big event was Western Days (Labor Day weekend). Sacramento Yacht Club cruised in to our club for the whole weekend. I can’t even count the number of meals we put out of our galley that weekend. It was a huge success, and has remained a success. Village West Yacht Club has a reputation for being a fun club, excellent meals and very friendly people. Commodore Jerry Stiles (2008) talked me into running for Rear Commodore in 2008. 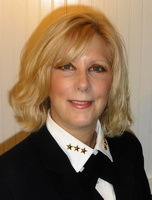 In 2009 I was Vice Commodore and Commodore. 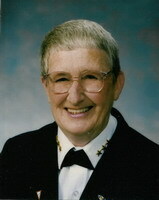 I was the first woman Commodore to go through the chairs at Village West Yacht Club. I never aspired to be an officer of this club, but I must say it has been very rewarding. Village West Yacht Club has become home away from home for many of our members. It is a warm welcoming place to come, relax and enjoy your friends and fellow boaters. “My wish”: that this club will grow and thrive for ever, and anyone walking through these doors will know they have arrived at the best Yacht Club on the Delta!!! Village West Yacht Club and the members have been like family to me. We have 254 members, far more than when I first joined, The pleasure to serve you as Commodore 2008 has been fun. Its a Yacht Club and we have events that keep the club busy raising moneys for various charity throughout the year, Its really important to support your club in anyway you can, It's a volunteer working club. I'll never lose site of that. 2008 I set reachable goals for the year and proud we accomplished them all. No one said Rome was built in a day. One of the goals I'm most proud of is setting up a building fund for our future and it has moneys in it, over 5 K at this time. Its the support of the members and the foresight of leaders that can make a difference in our club. All members have a opportunity to have a plan, present it to the board for approval, might take a few try's but it can happen. Loyalty has a place in a yacht club, "stay the steady course" support your club and follow your heart, things will happen. I personally have loved the water my entire life and lived on the Delta for 12 yrs. It's a wonderful way to enjoy a weekend or a vacation to the bay on any given day I've been boating since I was 13, my brother and I built a hydroplane and had a great time doing it, a family fun time I will never forget. If there is anything I can say or do to make your experience on the Delta a wonderful time would be" have a safe trip and enjoy after all you deserve nothing less ". 1. The club purchased and installed new heating and air conditioning systems for the clubhouse at one-half the price of the previous lowest bids. 2. The club completed its dock facility by improving flotation, adding electricity and water availability - which has allowed us to host more boats and increase cruise-ins. 3. The club has added a deck cover with dropdown sides increasing seating capacity for club events, both summer and winter. 4. The club has added a new professional range to the galley, increasing our ability to prepare and serve meals for club events and cruise-ins. 5. And his donation of the painting "View from the Ryde", significant funds were raised for clubhouse improvements. 6. The club added a new forty-two inch television at our bar which has increased the daily use of the club by our Members. 7. The club has increased our support of the Pacific Inter-Club Yacht Association and Recreational Boaters of California, both through financial contributions and participation. 8. A "Member Appreciation Party" was initiated, as a free service for all members with music and food, resulting in the attendance of a large percentage of Members. 9. The club increased its membership level. 10. The club increased the percentage of boat owners among the club membership. 11. The club increased the use of the facility by Members through Friday Nite Dinners, Taco Tuesdays, Special Events as well as everyday club use such as Sunday Dinner and Movie Nite. 12. This has led to increased revenue from both the bar and the galley. 13. The club increased its donation to Recreational Opportunities for Cancer Kids through a special event to raise money, and increased Member participation in this festival event for the kids. 14. The club added a Wounded Warrior Project to our charities, producing a BBQ for the military personnel [active and retired] as well as the public, and raised $17,250 for the WWP in the name of our club. My life leading to boating began in an airplane at age 15 when I bought my first cloth covered Aeronica 7AC, a poor mans J-3 cub. In a nut shell I attained every license the FAA issues except “seaplane”. In 2002 after Christmas Eve heart surgery, I lost my Medical and thus my license to fly. We sold the airplane. I decided boating offered me the opportunity to challenge the weatherman, navigate to places I could sometimes not see, and enjoy the pleasures of travel, as well as the destinations just like flying. My dad bought me my first boat when I was about five and we lived on Lake Walloon in northern Michigan. Boating was just a way to go fishing in those days but it was the only thing I did with my dad other than work. Sue and I spent New Years eve 2000 with friends on M dock, and went for a walk in the fog at Midnight. As we walked by the Club and saw the party inside, we decided then and there that we needed to belong. There was a 34 foot sea ray sedan for sale on M dock and by April we owned it. Another $20K put all the electronics a person could wish for on the first “Meyer Haven”. We par took of everything the Club offered that year and when it came time for elections in the fall of 2002, I ran for Commodore. During my watch the Club saw expansive growth in membership and proudly paid off all of the long term capital debt, except one note that the holder didn’t want paid. Since then Sue and I have moved up to a 58 foot Kha Shing, end tied on P dock, and have boated to Ensanada, Mx and on the Carson’s Big Daddy, to Vancouver, BC. I continue to be active in the Club and have been elected Fleet Captain for 2006. 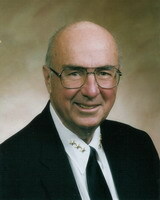 Bill Beatty finished John Trump's term in 2000 and was elected to serve the 2001 term. 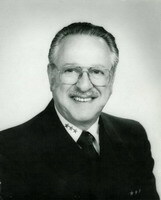 Bill and his wife Catherine were committed to continue implementing the goals and objectives developed by John Trump. These were to increase the membership of the club to 100 members, pay off the debt and develop policies and procedures that would assure that the club was more responsive to the membership. The club flourished during 2000 and 2001 and the membership was increased from 26 members to over 100. Although it was not without growing pains members were happy with the operation as witnessed by a very low drop out rate. Although the debt was not paid off, a reasonable pay off schedule was developed and pay down progressed as scheduled. 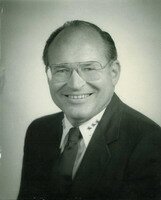 Bill, along with Treasurer Bill Kinsinger was also committed to improved business practices. Under their tenure monthly Profit and Loss statements, Balance sheets and quarterly budgets were developed for the first time in club history. First Lady Catherine's primary objective was to reduce the amount of "drudgery work" done by members. She observed that members didn't participate in club activities simply because they didn't want to use their precious leisure time working at the club. More part time help was hired to clean, work in the Galley and tend bar. The result was a pronounced increase in member participation. Bill and Catherine first joined the club in 1988 and were very active until they moved to Fresno and sold their boat in 2005. The Trumps joined in Jan. 1988 after a membership meeting with Dodie. At that time the members were few.. We had meetings in bowling alleys, restaurants and conference rooms of various places. The first five years John's law practice kept him very busy, so we only attended special events. 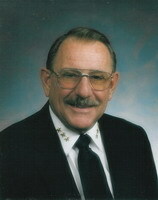 He was legal counsel for the club for six years and Vice Commodore in 1998. He always had a plan to increase the membership and so he did. 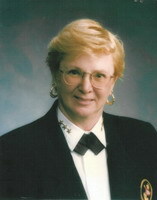 Dodie was Commodore of Marina West Yacht Club in 1987 when the new owners of Village West Marina approached her to move the club to the point at the Marina. The offer was declined by MWYC so Dodie and 34 others became founding members of the new Village West Yacht Club. 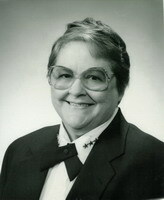 She became the Founding Commodore and was instrumental in forming the organization and by-laws of the club and enticing new members to join. She initiated the first LUAU which was a much needed financial success. 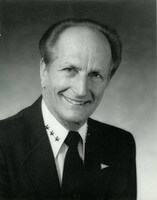 Dodie was elected Commodore in 1999 and died while in office that year. One warm summer weekend the Club was visiting the San Joaquin Yacht Club in 1996. We had just finished a wonderful dinner and were getting ready to do some dancing when Shirley Wipple (nominating committee chairman) pulled me aside and asked me if I would consent to be nominated for Vice Commodore for the coming year. Beverly and I had only been with the yacht club for just under two years and I was reluctant to get that deeply involved. She assured me that I would not have to serve as Commodore the year after that as there was someone else willing to take it then. 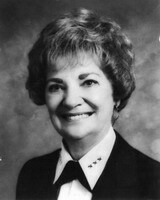 Bev was Secretary for Commodore Al Pine at the time and later Secretary for Commodore Trump. With her encouragement I accepted. It only took a week or so after the Instillation of Officers for me to realize that there wasn’t really anyone waiting to take the top job the following year. With this in mind, I sat down with a number of our Founding Members and told them that I would take on the Commodores responsibilities only on one condition. They would have to support me and that I would have to rely on their guidance. 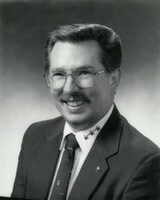 They agreed and I was elected Commodore for 1998. As it turned out, we had a very good year. We were able to attract some fun cruise-ins and also did a number of cruise-outs. We were able to pay off a few of our old debts, although not as many as we had hope. I also initiated our first one boat cruise. Since we were sill a very small club, we were able to cram a number of members into one boat and set off to one of the local water holes for lunch and back. We looked forward to them once a month after that. The only major problem we had that year was an old IRS problem that re-appeared after we thought it had been solved in the prior year. After getting no where with them for several months, Bill Kinsinger was able to contact an IRS agent on a one on one basis and after several phone calls we were able to make a final settlement with them. Sorrowfully we sold our boat in 2005 due to other commitments that were keeping us off of the water. We will never forget our time with the Club and the good friends that we made there. Keep making good things happen. No one wanted to be Commodore so Al said he would do it again. We both worked hard this year. We put on a cioppino dinner that was enjoyed my many. We had heard for years that once you were finished with your year as Commodore, you didn't do much else. Al & I led a cruise every year, encluding the three years we were Commodore. We bought an ice maker and a lawn mower. I loved being the Commodore's wife, but I really didn't like being Commodore. Al & I led two or three cruises to Tinsley Island. I don't remember which years that happened. 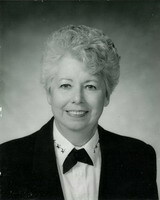 Being the 5th Commodore was a unique experience, with Judy and I being Charter Members. I was the youngest commodore ever at VWYC. In 1992 we had the most activities in the Club's history. More visiting clubs, functions and fun. Our membership grew to over 60. We were admitted into Blue Gavel. We also raised the most money from our many activities and we able to pay back many of our member investors. The year before I was commodore Judy was the club house manager and oversaw much of the renovation of the Modular to make it into our Club house. We spent many, many, many hours on this project. Since we sold our boat we have taken up Land Yachting. 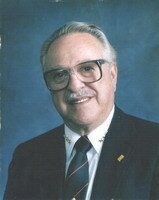 I have been the president of our local NAIFA Association (professional insurance agents) and in 1999 received their highest award, with proclamations from the California State Legislature and US Congress. 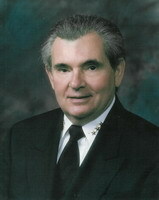 I am also past president of our FMCA RV Chapter and past Nobel Grand of my IOOF Lodge. Currently I am involved in our local Parks & Rec Association, Copper Business Association, Elks & Lions Clubs, and IOOF. Judy is a member of the local quilters club, Emblem & Lions Club and is the editor for our FMCA RV Club newsletter. Retirement is just a few years away, giving us more time to enjoy our life and community. We wonder if there are any charter members left in the club? I was actively involved in the negotiation for the land on which the club house is located and in obtaining the manufactured building that was modified into what has been our clubhouse. On our 36' Carver, Judy and I made several trips to the San Francisco Bay, including opening day on the bay and the VWYC bay cruises. 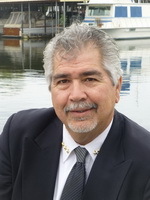 We have lived in Sonora for 14 years, where I remain active as a Realtor at Sugar Pine Realty. We cherish the memories of our boating days and the many actives that VWYC provided. After leaving MWYC, a few of us organized VWYC with Don Troglia as Commodore. We counted Dodie Carlson as our founding Comodore. At this time as had no clubhouse, but we had a lot of fun meeting in restaurants. We had cruises almost every month - in the winter, we had activities. We had plenty of money (no expenses to speak of). Ron Malmquest found the double wide mobile home that we all thought would make a fine clubhouse. We moved it to the spot where it is today. With much work (labor of love) we got it all together. At the time, I was sorry we didn't get to use it while Al was Commodore. We paid for the driveway (I'm not sure that's what you call it) and things started to move. The club was very important to both of us. It was 100% of our social life. At this time I was Editor of the Village Voice and won the PICYA award for best club newsletter. 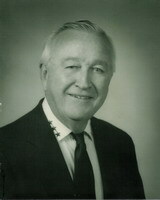 We moved into the clubhouse the next year when Elmer Miller was Commodore.